Eternal City Tours - Page 3 of 4 - News &Things To Do in Rome and in the Catholic Church. Padre Pio now known as St Pio of Pietreclena after his canonisation in 2014 by Pope John Paul II, was born Francesco Forgione May 25, 1887, to a devout Catholic family in Pietrelcina, Italy. At the age of 15, he joined the Capuchin Friars, and eventually became a priest with the order. Tomorrow – 23rd September is his feast day. To commemorate and celebrate this event, devotees will celebrate an entire week of events & activities in Rome. Gathering in the Parish of San Salvatore in Lauro close to Piazza Navona, which will serve as a hub of those wishing to celebrate his feast, groups have a whole host of activities planned. 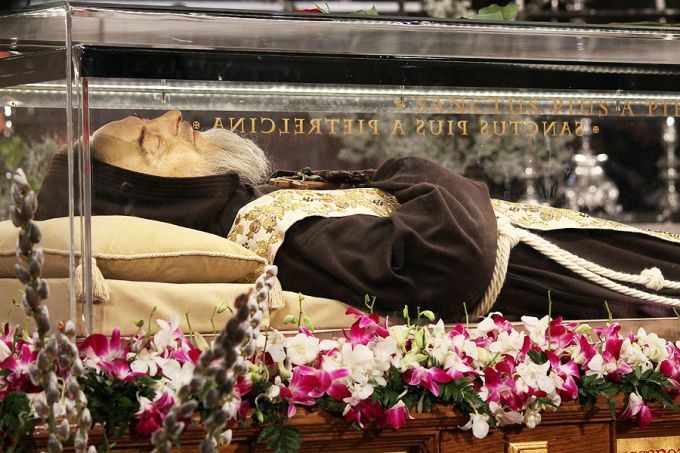 The parish will also be home numerous relics of Padre Pio, including his cloak, gloves, stole and blood from the wounds of the stigmata that marked his body for 50 years. Rome is full of relics of the saints, but the greatest relics contained in Rome are those concerning the Passion of Our Lord Jesus Christ. Constantine’s mother, St Helena, brought these from Jerusalem to Rome in the 4th Century. Why not join our Passion of Christ Tour to experience them first hand as part of a pilgrimage to Rome. The artist Caravaggio’s ‘Calling of St Matthew’ is a thought provoking work by this artistic master of light and darkness. This painting can be found in the Contarelli Chapel of the Church of St Louis of France (San Luigi dei Francesi) just 2 minutes walk from the Pantheon and on our Caravaggio Tour. The other two paintings in the side chapel are entitled the Inspiration of St Matthew, and the Martyrdom of St Matthew. All three were painted by Caravaggio under the commission of the French Cardinal Matthieu Cointerel (Contarelli in Italian). At this time of the Feast of the Divine Mercy in Rome during this Holy Jubilee Year of Mercy, the buzz word in Rome at the moment is MERCY. We are immersed within a Holy Jubilee Year of Mercy with Pope Francis choosing the official reflection of “Merciful like the Father”. We are also in the midst of Easter Week with the Feast of the Divine Mercy in Rome taking place on Sunday – Divine Mercy Sunday. Check out these 10 Amazing Pictures of Easter in Rome with Pope Francis 2016 including papal selfies and picturesque liturgy. As Mark Twain once said “History never repeats, but it sure does rhyme”. We are in a global financial crisis, but we’ve been here before with the Collapse of the Roman Empire. We Love Six Nations Rugby in Rome! 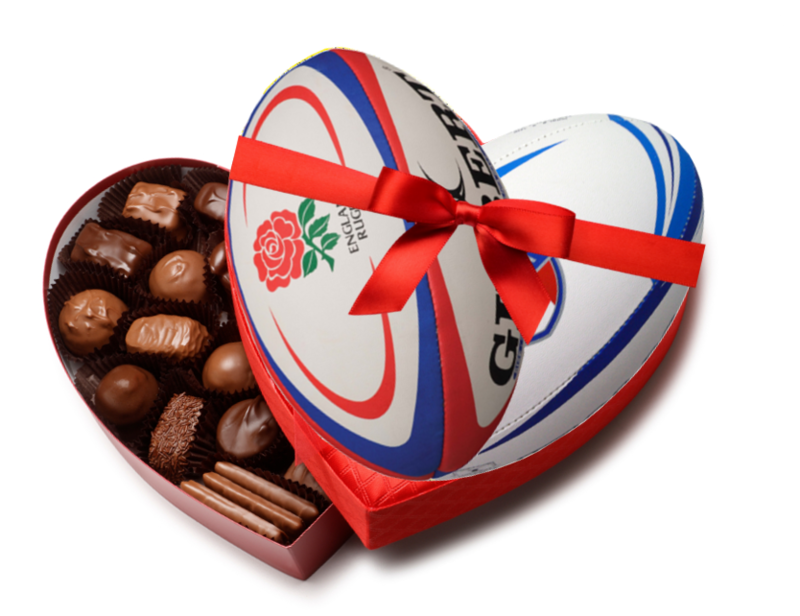 Author Eternal CityPosted on February 2, 2016 April 7, 2016 Categories News, Rome, SportLeave a comment on We Love Six Nations Rugby in Rome!